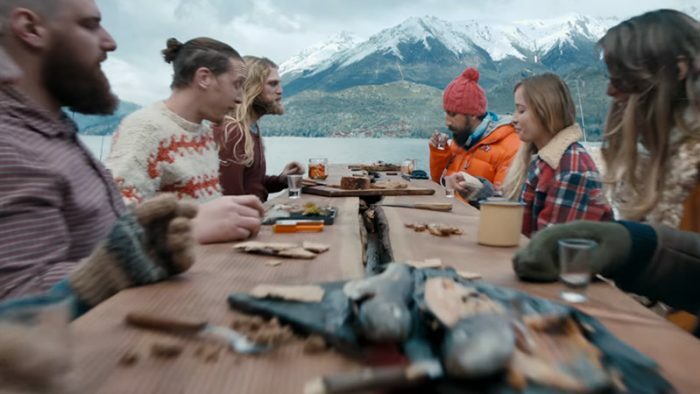 Delta Airlines’ Runways latest spot is truly creative – a well shot montage of globetrotting, aimed to inspire its viewers to travel more. One of America and the world’s largest airline companies, Delta Airlines turns numerous diverse places on Earth, with their very own experiences into a ‘Runway’, shot beautifully with an airplane’s POV as it lands. The ad turns a dining table, a pier, a bridge and several other places from around the world into a runway, and is voiced by none other than Academy Award winner, Viola Davis. “The old saying, ‘Good things come to those who wait’ is just that… old..” says Viola Davis as the montage continues to feature beautiful places from all over the world. Hotel room floors, snow capped mountains, a flock of sheep crossing a bridge, biting into a whole pineapple while riding a bike in tropical country and more. Also Read: #GlobalSamosa – Burger King and Conor McGregor team up for new spot! A jet engine can be heard in the background, gaining momentum as the scenes resembling runways continue to feature, getting faster as the jet prepares to take off, and it does, towards the end. The brand logo and tagline ‘Keep Climbing’ appear as the 51 second spot now concludes. The brand successfully serves the beautiful landscapes of around the world on a tantalizing platter of unique experiences that we all have longed for at some point in our lives.